If you want to do stable and smooth motion with your camera, you are possibly looking for a gimbal. And we have one for you. The Beholder DS1 is one of the most popular handheld gimbals available and the winner in our comparison of the 10 best DSLR camera stabilizers and gimbals in 2018. Why is this gimbal our number one pick? Learn more in this Beholder DS1 review. 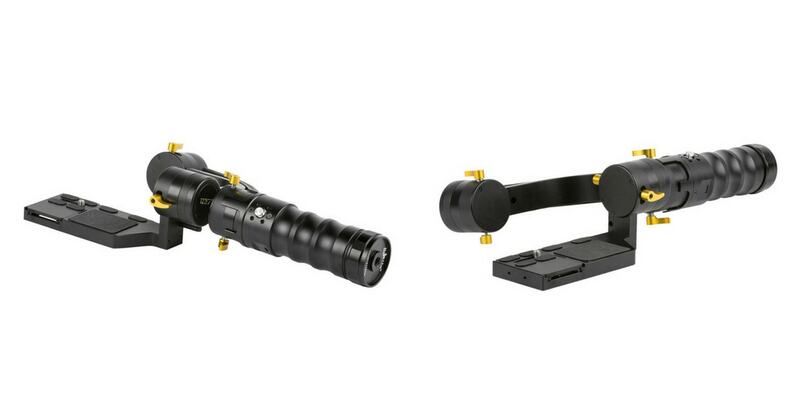 The Ikan Beholder DS1 is an awesome stabilizer suited for cameras in the 0.75-1.75kg load range (3.7 pounds). We are speaking about popular cameras like Canon 7D / 5D, NEX Series, Sony A7 series, Nikon D800 and D810 and DMC Series. DS1 comes with a 3 axis stabilization, fast response, dual sensors, support for any angle boot, and external remote control. This lightweight device brings fantastic accuracy and stability to the world of amateur filmmakers. It is a great stabilizer for all levels of video makers who need to create highly professional looking videos. The full aluminum body feels very solid and robust but still remains lightweight with only 2.4 pounds (1 kg) without the attached camera. You can feel the high-quality of the gimbal on the first touch, it´s really no put together, no flimsy. What we mean, the model feels like an actual piece of professional production equipment. Balancing the DS1 should take about 30-45 minutes for an experienced filmmaker – stabilizing all 3 axis can be an issue here for beginners. As we wrote before, the Beholder DS1 works on a 3 axis system with brushless gimbal motors that create smooth and stable footage. The gimbal has 4 modes: follow, lock, inverted, and briefcase. Follow mode – as you move the gimbal move your camera to pan and tilt. Lock mode – it keeps the camera still. Inverted mode – this mode allows you to take low shots. 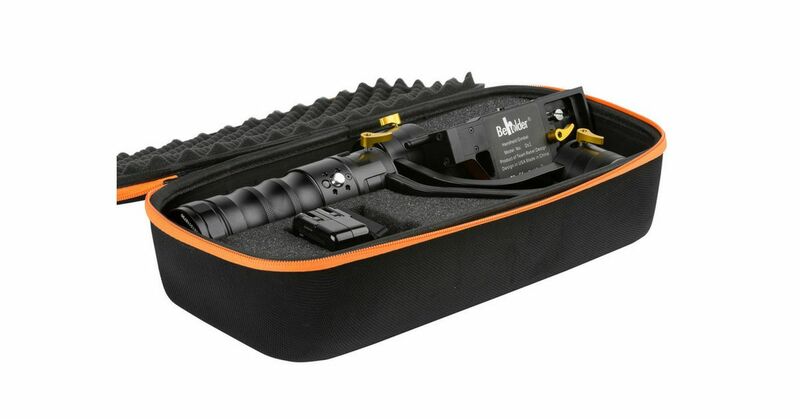 Briefcase mode – use it when you have a two-handed grip. Using the stabilizer is very easy. Just select the mode and the DS1 will adjust to it automatically. Or you can use the built-in joystick in the handgrip to pan and tilt. Another option is the use of the 3/8” thread hole to mount a monopod and create a jib. The DS1 is fantastic gimbal with high professional built quality that will help you shoot smooth and stable videos like a pro. What´s more, the 3 rechargeable batteries gives the gimbal up to 3 hours of operating time (depending on the conditions), and the USB port allows you to attach a cable to run a light or even charge your phone or camera. 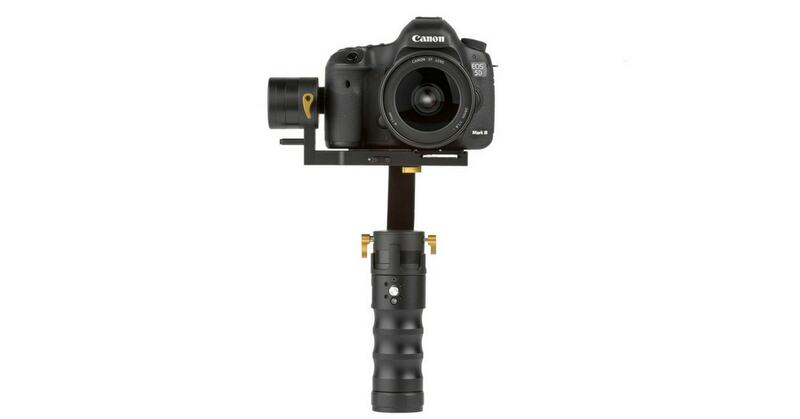 To be honest, Beholder DS1 isn´t exactly a cheap handheld stabilizer. So, if you are on the budget, this may not be the solution for you. Try Neewer 24″/60cm or SUTEFOTO S40 instead. However, if you are interested to own a high-quality handheld gimbal, the Beholder DS1 is one of the best devices you can buy. The ease of use, portability, and video stability make from it a go-to tool for any filmmaker. This little tool creates an excellent balance. Enjoy a 3 axis stabilization, faster response, external remote control, support for any angle boot, dual sensors, and overall fantastic accuracy and stability.